Fall mornings can be quite amazingly beautiful, especially with a layer of frost and fog and sunshine streaming from above. Such was yesterday morning for us, here in Edmonton. I took my camera out after seeing what the light looked like, filtered through a lovely fog that lifted off the river and floated to my street. I didn't have much time to wonder too far, so just took a stroll with our dog in our neighbourhood off leash park. 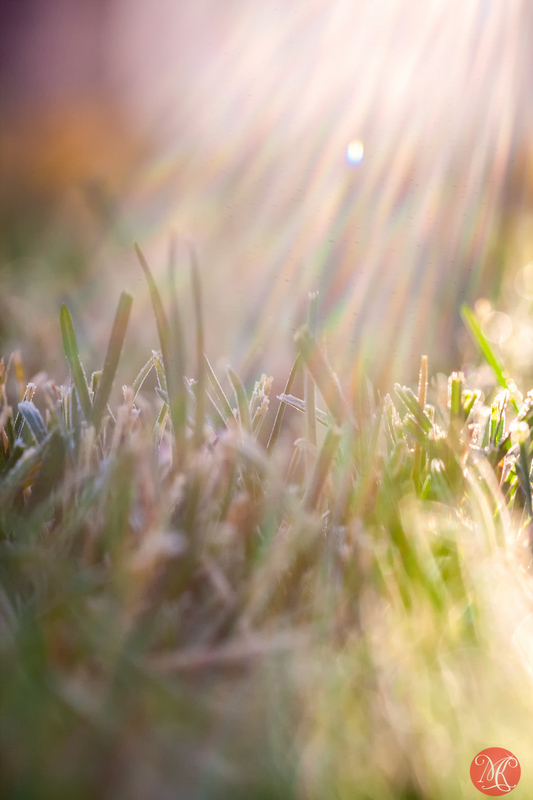 A bit chilly with only about 1 degree Celsius at the beginning, but, with the sun shining bright, it soon warmed up enough to start melting the frost from everything and turning it into a gorgeous dew. Well then, I thought, I must go back and grab my macro lens as well. Such opportunities are not to be wasted.. So this is what I saw. Enjoy!